As promised in my previous blog post, here is the recipe for a hearty salad, to add more color and flavor to any autumn table. Wash and cook lentils until tender but not mushy. Drain and let cool. 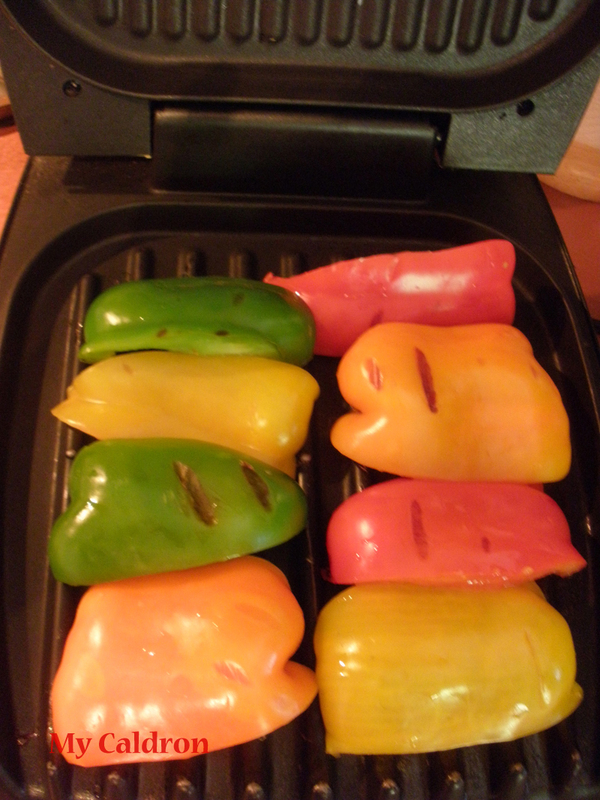 Cut bell pepper halves lengthwise and roast for 5-10 minutes until they are soft. Now chop them all in small pieces proportionate to the lentils. 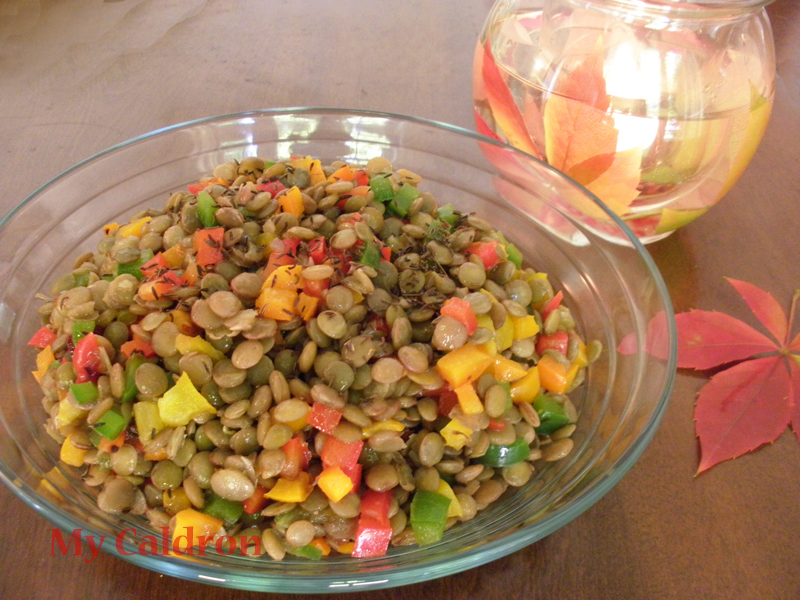 Mix with cooked lentils.